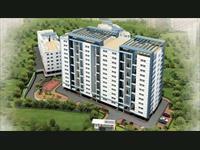 Looking for a property in Chintamani Nagar? 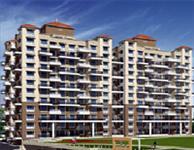 Have a property in Chintamani Nagar? Chintamani Nagar is a prominent and very well connected area of Bibwewadi. The engg. college VIT is within 1 km. Markets, Grocers, Essential-Requirements shops, Hospitals, Pharmacies, And restaurants are all within walking distance. More importantly, ALL these are reasonably priced; this being an established decent middle-class area for over 25 years. For the same reason you are less likely to witness or be confronted with drunks, street-fights or robberies. Close to the major Swar-Gate bus stand, one is well connected to travel to and from out of station at any time of the day. The Market-Yard, also close-by is a place to buy your vegetables cheaply. Good Restaurants offer A- class dining experience and the City_pride Multiplex caters to movie lovers... all close by. Chintamani Nagar, Pune is rated 7 out of 10 based on 1 user reviews. Have a good knowledge of Chintamani Nagar? Share it and become a Locality expert.